Stephen, how did you start out in music in the first place, what made you chose for electronics? During the mid 90’s I was a regular attendee at UK EM concerts in Derby and also at Jodrell Bank Planetarium which were put on at the time by Midas Records and Synth MusicDirect. I would always be excited not just by the music but also the array of synths/electronics on stage which were used to create this amazing music. Also I was and still am an avid collector of EM by artists such as Airsculpture, Radio Massacre International, Ron Boots and also Jean Michel Jarre and Tangerine Dream to name but a few. Whilst attending these gigs I would be sat there thinking I wish I could play and record my own music. 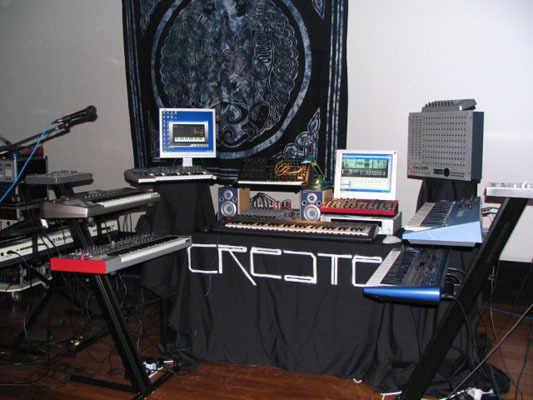 But with no idea about the equipment and also never having played a keyboard before this idea was always a dream in my head until around 2002 when I started using a demo of a computer program called Reason which is basically an all in one recording studio on your PC with which to record music. After using this program for 18 months and recording lots of tracks I finally had some music which really seemed to be coming together. With a lot of support from Grant Middleton of Under The Dome and also a friend of mine Nick Adams who said that this music should be released I set about sending demo copies of my first cd “Reflections From The Inner Light” to some of the EM labels. How did you get in touch with the guys of Groove Unlimited? at Emma 3 in Sheffield back in 1996 I think and also having collected his cds for many years. So with that in mind, I sent Ron a copy of my first album “Reflections From The Inner Light”. Some time later I received an email from Ron asking for my phone number and I still remember fondly my wife telling me that Ron Boots was calling. I couldn’t quite believe that here I was talking to Ron Boots on the phone about Groove wanting to release my music…..great feeling indeed! Tell us some more about the creation and meaning of the music of your first cd “Reflections from the Inner Light”. 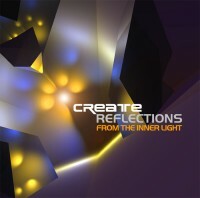 “Reflections From The Inner Light” was recorded between December 2003 and February 2004 using just one mid keyboard and Reason which after trying the demo I went out and bought as a full program. I was wanting to record some music in a modern Berlin School way as I really love sequencer music but at the same time I didn’t want my music to sound copyist in any way to the likes of say Tangerine Dream or Klaus Schulze. Saying that though, the opening track “Narissa” was recorded as a tribute to the great UK band Airsculpture! 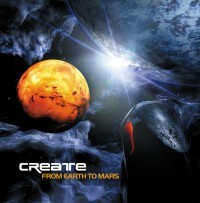 In what way is the next album “From Earth to Mars” a continuation of your debut, or did you also try something new? With each cd I’m really trying to evolve my sound and present something new to the listener whilst retaining the Create feel to the music. The music on “From Earth To Mars” again features lots of sequences and yes I agree with you that i like to think of it as a continuation to “Reflections From The Inner Light”. But at the same time I think the sound has evolved and matured as I’ve continued to explore the software music program Reason. 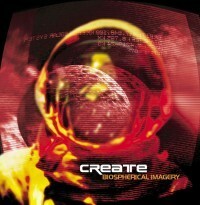 “Biospherical Imagery”contains live and studio stuff from 2004 and 2005. Why this decision, and not any brand new music? After finishing recording “From Earth To Mars” using just one midi keyboard and the computer program Reason, I decided that sometime in the future I would like to play live. But with the very little equipment that I had at that time I thought it would be very unattractive for the audience to see me sitting at a desk looking at a computer screen. So with that in mind I decided to expand my studio by purchasing some second hand synths from Ebay. The idea being that I would record some new music using both Reason as well as the newly acquired hardware synths. 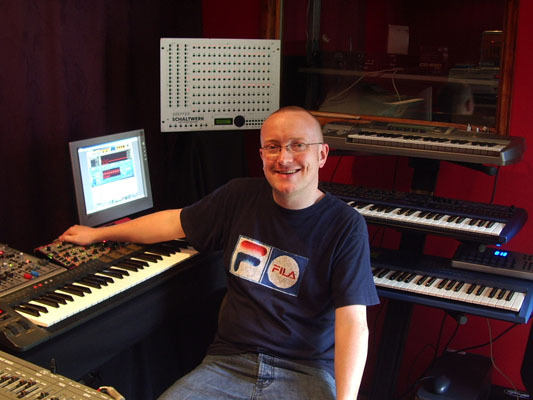 Jez Creek, who as well as recording solo music as Modulator ESP is also one half of Astrogator the other half being me. 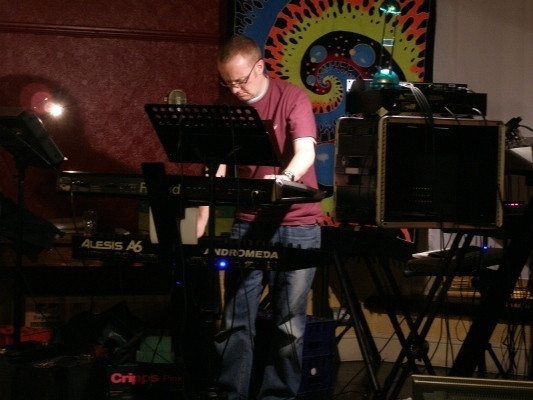 The three live tracks which I played at the gig in Nottingham were re-recorded live in the studio and once these were complete i recorded two ambient tracks to complete the cd “Biospherical Imagery. Your album “Space Time Continuum” saw a return to your former Berliner School inspired music. Was that your goal? tracks featuring plenty of mellotron/choir/flute/lead sounds complemented by sequences and spacey atmospheres. 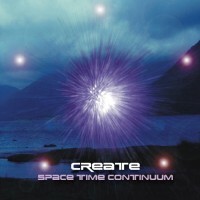 This cd saw me moving even further away from the software that I’d used on both “Reflections From The Inner Light” and “From Earth To Mars” and embracing more the hardware synths that I’d bought. The cd contains three sequencer tracks and also two contrasting ambient pieces to give the album a nice variety of tracks. It was certainly a fun cd to make and the response since it’s release has been great! Tell us some more about your studio, the instruments you use and the way you compose…. I’ll admit to being a gear junkie (must stop looking at Ebay). Yes, hardware really is great and does to my ears anyway sound much fuller sounding than software synths plus you can’t beat all the onboard realtime controls which morph and shape the different sounds. You just don’t get that connection with an instrument when as a musician you use a software synthesiser. idea and record it into Cubase which from there I will build the piece up into a finished track. Also, I like working from the base of the track which is the ambient/spacey atmospheric parts and then build the track up by adding sequences/melodies/lead lines etc. A couple of years ago you started the new project Astrogator with Jez Creek. How did you two meet and how would you describe the outcome compared to your Create-music? I met Jez at an EM concert at the National Space Centre in Leicester where we became friends and then later we discussed getting together to record some music in Chesterfield where we hired a recording studio. 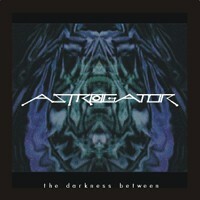 It was at this first session that we recorded the first Astrogator cd “The Darkness Between”. 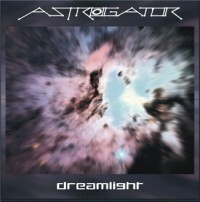 The music of Astrogator is much more improvised than that of my solo Create cds. Working with Jez gives me the chance to improvise as it’s not something I do normally as Create. We both have a lot of fun at the recording sessions where we both add our own solo styles to a degree to come up with the spacey/ambient/sequencer tracks that form the basis of the Astrogator sound. Yes both “The Darkness Between” and the follow-up “Dreamlight” were real fun to make and it’s always great to read positive comments/reviews about the music. “Dreamlight” was originally only a ltd edition cd-r of 50 copies but due to various emails from people requesting to hear it we produced another 100 copies. Please sketch a bit of the background of the music that’s on your upcoming album, due to be out around April? bound for nearly four months. During that time I was watching season 3 of the tv-series “Lost”, and whilst watching the series I came up with the idea of recording some new Create music based on my experiences of watching the program. 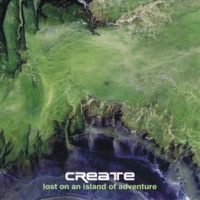 So with that in mind, I set about recording the new cd “Lost On An Island Of Adventure” in March 2007. With this new album I was wanting to push the Create sound further and offer something new whilst at the same time making sure the tracks flowed well together. The track titles on the new cd reflect the music and mood more than ever and this was a conscious decision by me whilst recording the new album. The listener will still find plenty of sequences/lead line riffs/ambient textures which have always been part of the Create sound. Less mellotron though this time as I used those sounds quite a bit on “Space Time Continuum”. The new cd was finished in August 2007 but I very sadly suffered the loss of my wonderful Grandad, who during my younger years was a father figure to me. We always remained close up until his death in November 2007. As a tribute to him, I wanted to record a track which is the closing piece on the album entitled “Heaven Waits” (For Grandad). It’s certainly my most personal piece of music to date. What’s the current status of the electronic music scene in the UK? There are certainly plenty of musicians making the music but the live scene is really suffering as audience figures have dropped considerably. There is talk of the Hampshire Jam in Liphook being the last one which is a shame but then at the same time this does open the door for someone else to take over the running of a festival and introduce new acts rather than a rotation of the same ones. Regarding the sales and distribution of your music, do you prefer it released on cd or short runs on cd-r or legal digital downloads? Personally speaking, I prefer to see my music released on a professionally pressed cd, although I can understand the need for short runs on cd-r and also legal downloads which are proving popular. I have downloaded a few exclusive items from the new MusicZeit site but I would say that if the prices were lower it would then encourage more people to try the lesser known artists who are part of the site. Do you have any future plans or things you’d like to try sometime? Well, after my accident at work last year I’m focused on keeping fit which involves me running four times a week, which I’ve been doing now since the start of this year. I’m hoping as my fitness improves that I can take part in a run for charity at some point as well. Also in March, my wife and I are going to try skiing at a new indoor centre near where we live for the first time. Hopefully when I fall over, I won’t bruise easily due to the soft snow! I just like to thank Ron and Kees at Groove Unlimited for releasing my music and also the fans for taking the time to buy and listen to the music of Create.